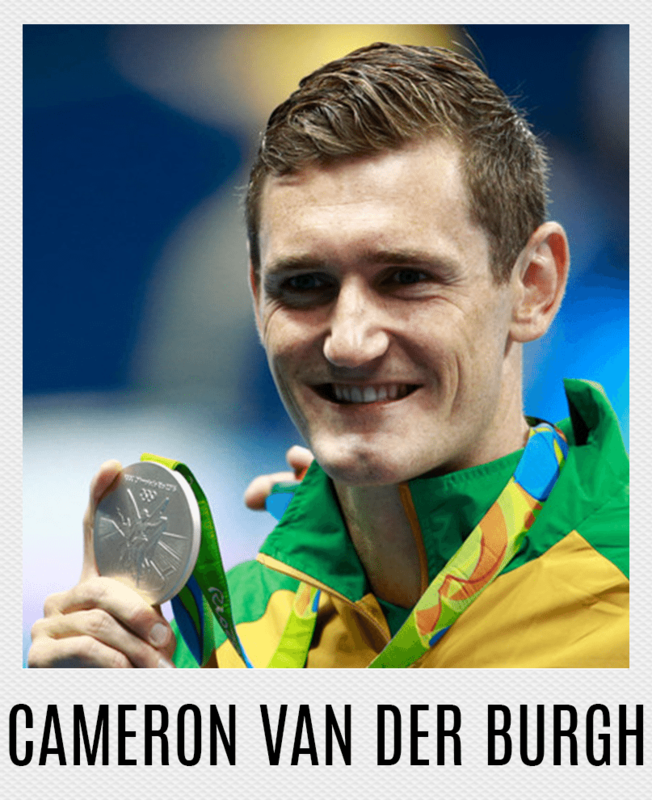 Book a Lesson with our Celebrity Team! The surf lesson will take place on Saturday 9th September 2017. All proceeds will go to Missing Children South Africa. You will receive a Section 18A donations receipt for your generous donation. 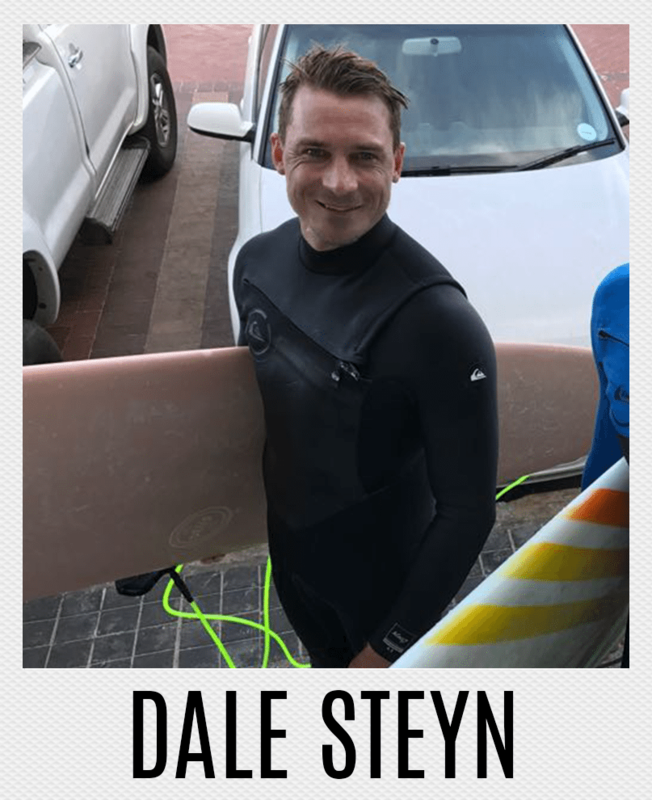 Surfer and part time stand-up comedian has been riding logs since Thabo Mbeki was still President, Jacob Zuma only had three wives and Helen Zille still had wrinkles. Dale Steyn's ability to swing the ball both ways at extreme pace and accuracy has made him one of the worlds greatest ever fast bowlers. 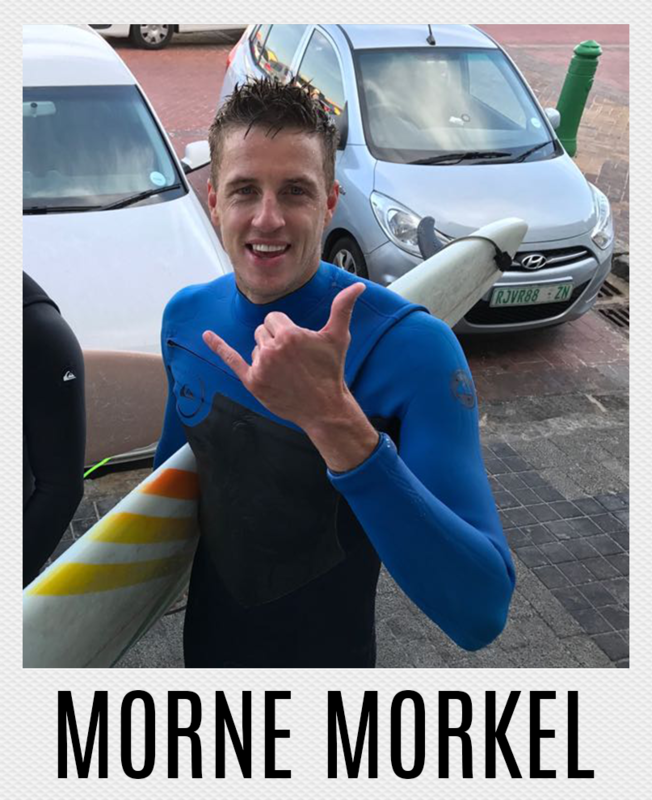 Morne Morkel's height allows him to generate steepling bounce with a combination of speed and skill making him one of South Africa's most potent ever fast bowlers. 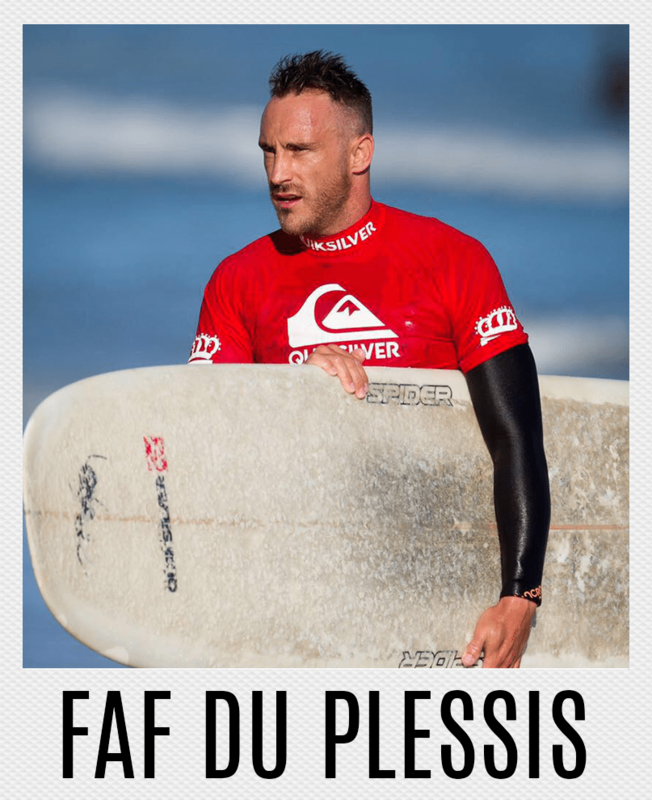 Faf du Plessis, captain of the Proteas Test and T20 team, is a classy top order batsmen and one of the most consistent international batsmen in recent times. 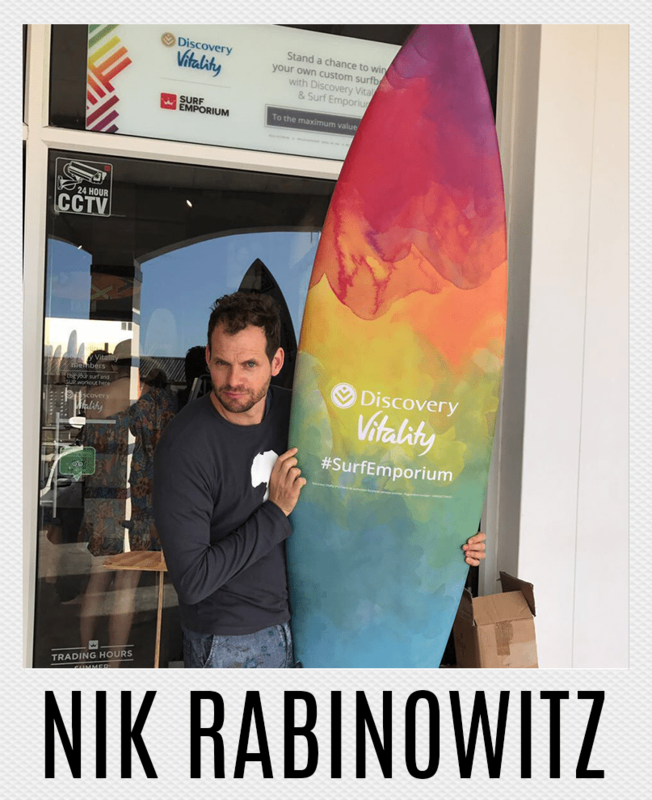 Sign Up for a Surf Lesson with our Celebrity Team for only R399!